Cosplayers! Don’t forget, if you’re bringing any prop with your costume to Ai-Kon 2017 it has to be checked with our Weapons Check! A properly checked prop will be registered with our table. This needs to be done even if it was checked in previous years or at other conventions. 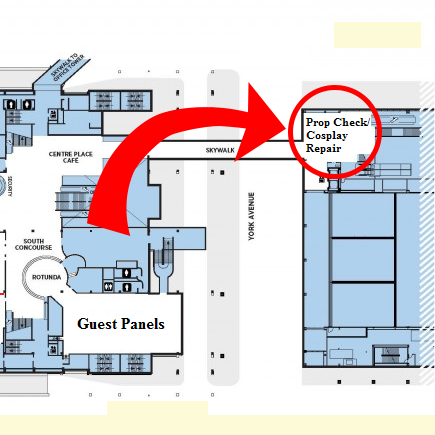 Weapons Check is located on the 2nd Floor Mezzanine on the way to the Marketplace, right next to Cosplay Contest Sign-Up and Costume Repair. All cosplay information, including our costume and weapon policies, can be found on our Cosplay page.